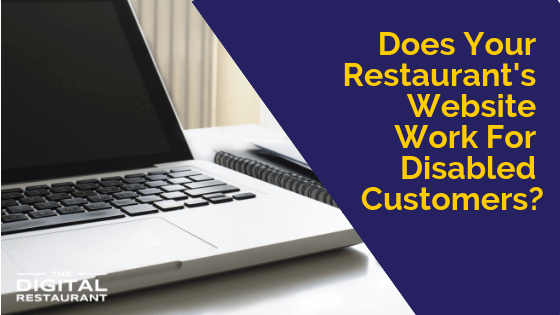 Does Your Restaurant’s Website Work For Disabled Customers? Is your restaurant website ADA compliant? If you don’t know, you probably should. That’s because ADA website accessibility lawsuits are on the rise across all industries. If the pace of this year’s lawsuits continues, the total for 2018 will exceed that of 2017 by 30%. Even more staggering is the fact that in the first six months of this year alone, plaintiffs have filed more website accessibility lawsuits than in all of 2017. 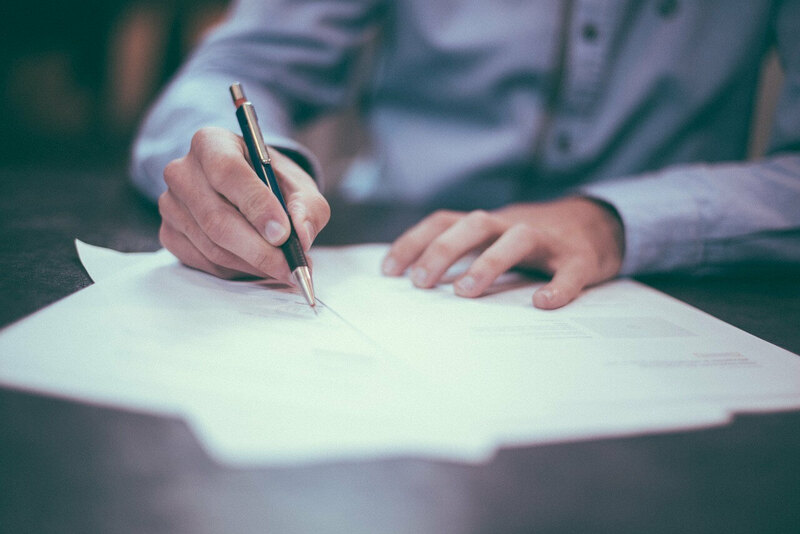 What does the law say about restaurant compliance? The Americans with Disabilities Act, which was enacted in 1990 makes no mentions of websites (obviously). But since 2003, the U.S. Department of Justice has taken the stance that the websites of companies that accommodate the public—such as restaurants and hotels—must be accessible for the disabled. Don’t think that means there is specific guidance that your restaurant can follow, however. Despite taking this stance, the DOJ has not issued a ruling on what constitutes compliance. It was expected that they would rule that companies must abide by the World Wide Web Consortium’s Web Content Accessibility Guidelines Level AA (WCAG 2.0 AA). But they withdrew this proposal at the end of 2017. With no official guidelines, exactly what can restaurants do make sure they don’t fall foul of a lawsuit? Unfortunately, restaurants are especially vulnerable to ADA lawsuits because of the nature of their business. For many restaurants, their website isn’t just a menu, it is a way of ordering food, too. Because the “goods and services” offered online are the same in store, the website will be held to the same standard as the restaurant’s physical location. When disabled users access the web, they typically use different forms of software such as screen readers to navigate websites. If your website doesn’t play friendly with this kind of technology, you could be in trouble. Whether your website is brand new or five years old, you should make sure that screen reader technology works on your site. If not, explore the actions that you can take to make your website compatible. Unfortunately, this may mean building a new website for your restaurant. But, in truth, if your website doesn’t work with this kind of technology, there are probably other elements wrong with it that mean you should definitely invest in a new website regardless. One of the easiest ways to judge how accessible your website is to use the online web accessibility evaluation tool, WAVE. Simply enter your restaurant’s URL into the tool and after a few seconds, WAVE will tell you what’s wrong with your website from an accessibility standpoint and what to do to fix it. If your restaurant’s website is built using WordPress, there are a number of plugins that can help with accessibility. In particular, restaurant owners may want to install WP Accessibility, a multi-function plugin that can solve several issues; Accessibility Widget, which allows users to change text sizes; Accessibility Poetry, which creates a floating toolbar that viewers can use to change text size and contrast colors; and wA11y, a tool similar to WAVE that will highlight any issues with your site. Making sure that your website is accessible is not a one-time deal. Every time you make a change to your website or add a new feature, you’ll need to re-establish that your website is still accessible. Yes, this is a pain but it’s a lot less painful than getting slapped with a lawsuit. If you need help making your restaurant’s website ADA compatible, The Digital Restaurant can help. Get in touch today for a free consultation.